Jim Hoffa, president of the International Brotherhood of Teamsters, says his organization will “fight” Kellogg’s decision to shift from direct delivery of its foods to stores, a move that will result in the firing of more than 1,100 full-time workers at Kellogg’s facilities across the country. “On February 8, The Kellogg Company (NYSE: K) announced its short-sighted plan to eliminate their U.S.(Keebler) snacks direct store delivery system across the country which will destroy nearly 1,200 good, Teamster jobs in key markets across the country,” Hoffa said in press statement. “It is an outrage for Kellogg’s – an iconic American company – to turn its back on working families,” Hoffa said. Kellogg’s recently announced its decision to move to a “highly efficient warehouse model” and will no longer use a direct store delivery system to bring its products to local grocery stores. The company will instead utilize grocers’ distribution centers. The move is part of Kellogg’s cost-cutting initiative, Project K, launched in 2013. The Michigan-based breakfast food company reported a $53 million loss in the fourth quarter. 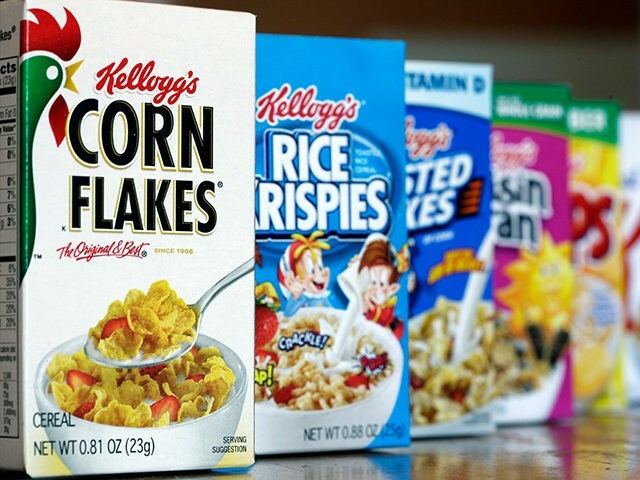 Cutting its direct store delivery system, Kellogg’s says, “will free up money to invest in activities like advertising that more directly help boost sales,” the Associated Press reports. Last year, Kellogg’s made the politically partisan decision to pull ads from Breitbart News, which spurred a boycott campaign and intense online backlash. The company’s stock has performed much worse in comparison to its breakfast rivals, including Post and General Mills, during the past year.